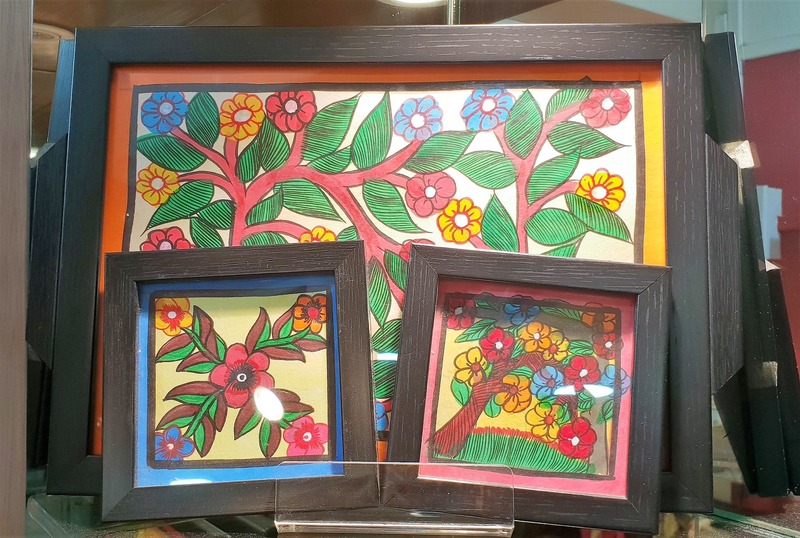 Flaunt Or Gift: We Found Kantha, Pata Chitra & Kalighat Art Trays & Coasters And They Are So Rad! This one is going to be a good refresher if you are holding on to such notions that art is only meant for walls or for your sketchbook. We found trays and coasters sporting kantha, pata chitra and Kalighat art that are sure to add style to your tea time. We had gone to Neerosha in Purna Das with a mind to pick some beautiful shrugs and jackets, but got completely sidetracked when we spotted some fantastic artwork in rather very unusual form. Tucked in a corner at Neerosha, we found a collection of trays and coasters that sported kantha work, pata chitra and Kalighat art. You may have a pata chitra scroll adorning your living room wall or a kantha stole to pride your wardrobe, but finding these art in household things is both rare and rad. Brilliantly colourful and perfect in finishing, all of these trays and coasters wear hand painted or hand crafted artworks. Swag up your tea time with a Kalighat tiger print or a teal kantha work tray. Available in different sizes, these come nicely framed in fiber and fiber glass. Wondering what to gift your friend who's come down from elsewhere? Pick these to gift a slice of Bengal to your friend. There are coasters, medium and large trays and even tray and coaster sets to choose from. Prices of the coasters start at INR 180 each and the trays start at INR 780. You can pick the sets for INR 1,100. Pick some of their beautiful hand embroidered table runners and tea napkins (they come in pure cotton and some even with a little organza patch work) to complete the look for your tea tie practice! These are priced at INR 360 onwards.